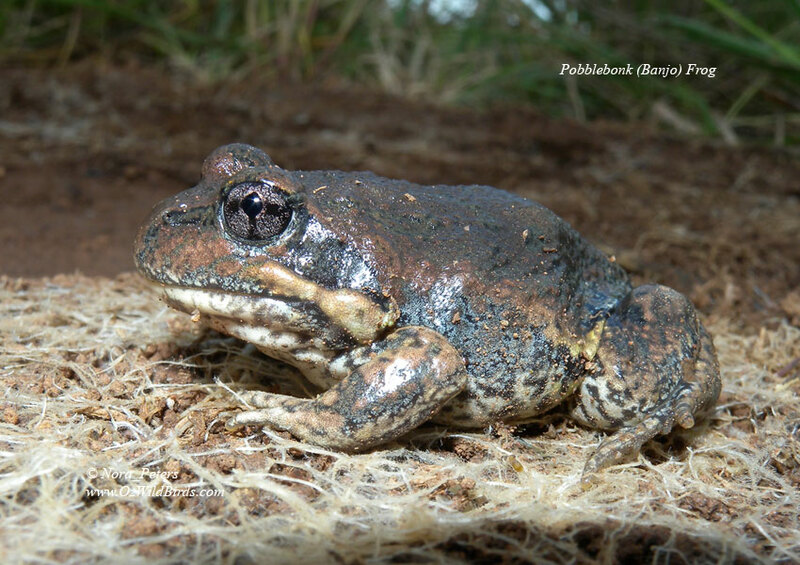 The resonant “bonk” of the Pobblebonk (also called Banjo Frog) is possibly our most unmistakable frog call. Its musical banjo-like call is heard in most of our creeks, most usually with heavy natural vegetation cover, trees & less murky water. They are heard calling in the warmer months. 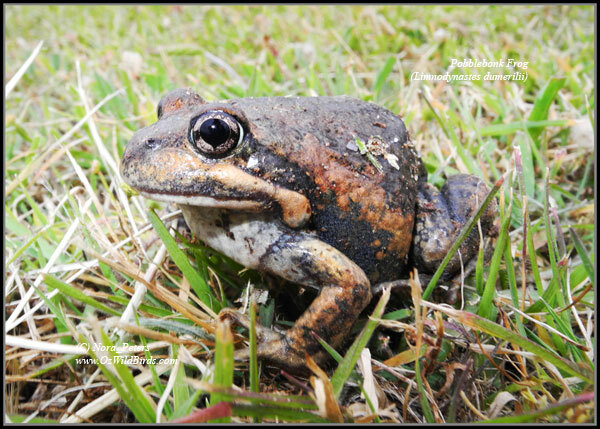 Their resonant calls are a sure sign that spring has arrived & that warmer weather is on the way. As the weather grows warmer their musical calls became more widespread. They are now also heard among rocks in the artificial wetland at Botanica Springs, newly created in 2007. 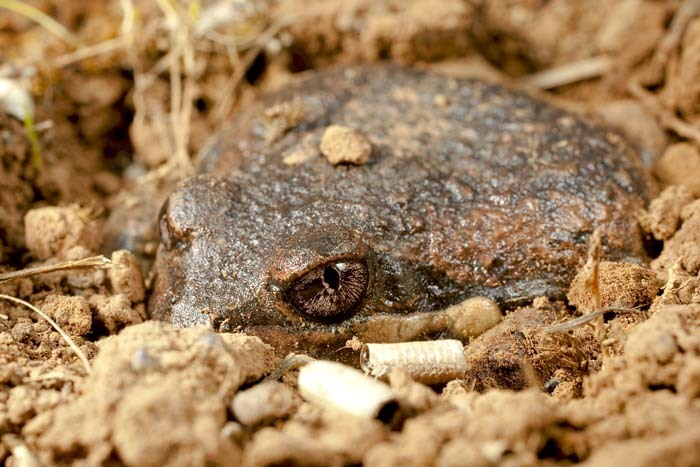 These frogs retreat into the ground in dry weather & they are often dug up in gardens. 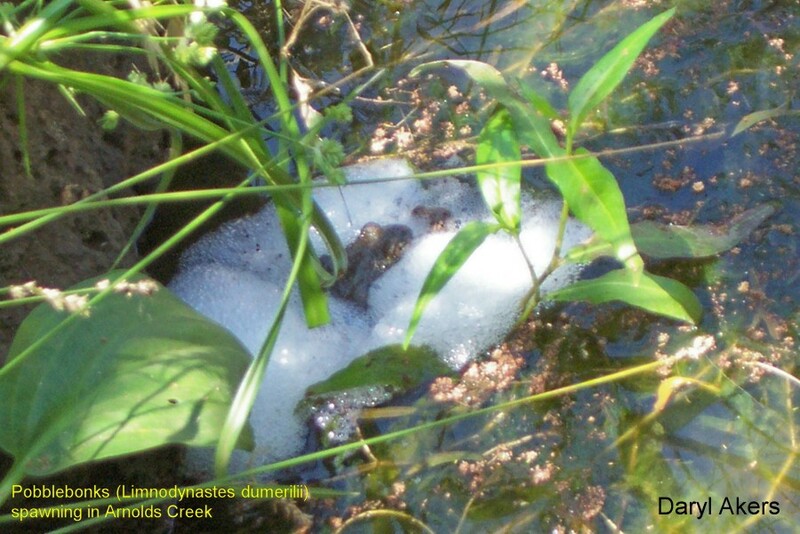 Their egg masses are concealed within masses of froth and can be seen floating on water among vegetation.